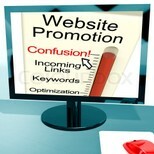 We offer a range of services to our clients post website launch. These services have been developed so you can get the most return from your investment. A lot of people believe that once the website is up and running that it will solve all their problems and are very disappointed when they realise the site is not receiving any traffic. Once you site is uploaded it is visible to absolutely anybody across the globe via the Internet, however, it is not necessarily visible amongst the millions of other sites that are in also existence. You essentially have to let people know your site exists and make it as easy as possible for people, who are looking for sites of your kind, to find you. There are a number of techniques that are used to promote your site to your target audience and increase traffic to your site. The most effective way to promote any new site is through a combination of Pay Per Click Ad campaigns, Search Engine Optimisation, Link Building, E-mail Marketing and a number of other things. The aim of the promotion is to increase the time people stay on your site and the site conversion rate (sales received from users).